George Andrews is one of New Zealand's most experienced television producers. His resume includes Landmarks, Great New Zealand River Journeys and Made in Taiwan, plus time as head of documentaries at both TVNZ and TV3. Born in Wellington, Andrews went on to graduate from Victoria University with a bachelor of commerce. He began his screen career in London in the mid-60s, writing documentary scripts and narration for production company Associated British-Pathé. Two years later Andrews returned to New Zealand, remaining down under for the rest of the 60s. He was a reporter on flagship current affairs show Gallery, in the days before the arrival of Brian Edwards. During his two years on the show Andrews interviewed PM Keith Holyoake, then Finance Minister Sir Robert Muldoon, and future British PM Edward Heath. In 1970 Andrews was back in London for another three years stint, this time as a journalist and production assistant at BBC-TV News and Current Affairs. 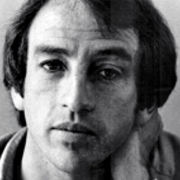 Since returning to New Zealand in 1973, Andrews has worked in documentaries, often as a producer, sometimes writing and directing them as well. In 1975 he was appointed Head of Current Affairs, then with the launch of new second channel TV2, became one of the producers of new documentary series Encounter. In 1976 he took away the Feltex best documentary award for an Encounter piece about a Dalmation immigrant to NZ. For eight years Andrews held executive posts as head of the documentary divisions of second channel South Pacific Television, then Television New Zealand. The late 70s saw Andrews working alongside the legendary filmmaking team of director David Lean and writer Robert Bolt (Lawrence of Arabia). While In Tahiti, researching for a proposed movie of The Bounty (ultimately to be directed by Roger Donaldson), Lean decided to get a film crew in to record the salvage of one of Captain Cook's anchors. Lean readily agreed with Andrews suggestion that he do the narration, but once the crew arrived on location, they found Lean increasingly taking command of the project, which was originally to have been directed by Wayne Tourell. Lost and Found - The Story of Cook's Anchor went on to win an audience award at the 1980 London Film Festival. In 1984 Andrews founded production company George Andrews Productions, which continues to operate today. He also spent three years as one of the team raising capital and attending the (ultimately successful) warrant hearings for a new third channel, TV3. Andrews spent time as the new channel's head of documentaries, before going independent. He talks about the fundraising and early days of TV3 here. His biggest production to date is 1981 documentary series Landmarks. Three years in the making, the programme explored the development of New Zealand, using an approach that mixed history and geography. Andrews filmed pilots with historian Keith Sinclair and geography professor Kenneth Cumberland, before giving Cumberland the job. When the 10-part series was broadcast in the winter of 1981, it won a substantial primetime audience, followed by the Feltex award for best documentary. Andrews' shows as producer cross the gamut: they include sociological explorations of rugby (The Game of our Lives), aviation history (Reaching for the Skies), two documentaries involving Billy T James (one of which he also directed), and award-winning Treaty of Waitangi docu-drama Nga Tohu Signatures. Three-parter Great New Zealand River Journeys (1991), presented by Sam Hunt, Jon Gadsby, and Lynda Topp, examined the history and people on three of the country's largest rivers. Andrews was also proud to work on series Firsthand, in which young people were given video cameras and the chance to develop their talents as filmmakers. Among them were future filmmakers Leanne Pooley, Peta Carey and Alan Erson. Made in Taiwan (2006) began as an idea for an ambitious three-part television series, after Andrews read about new discoveries involving the genetic make-up of Māori. The one-hour documentary that finally emerged used the DNA of presenters Oscar Kightley and Nathan Rarere to trace the voyage of their distant ancestors back to Asia. Andrews stretched the budget by arranging funding from Taiwan and free flights from airlines. Andrews' readings on DNA breakthroughs led to the topic of his next film: pioneering, controversial and largely unknown Kiwi-born biologist Allan Wilson. After network knockbacks in NZ, Andrews successfully pitched the project to the University of California, Berkeley, where Wilson had spent much of his career. The result was Allan Wilson - Evolutionary, written and directed by Andrews, with narration by Berkeley paleoanthropologist Tim D White. After the documentary won some local theatrical screenings, The Listener called it a "shrewd insight into the man himself: the quintessential pioneering expat Kiwi individualist." Andrews has also produced three series of reality show Kia Ora: Kia Ora Hola, Ni Hao and Molweni variously see Māori language students travelling to Chile, China and South Africa. Kia Ora Molweni was launched in Parliament in July 2011, with its debut on Māori Television following in November.